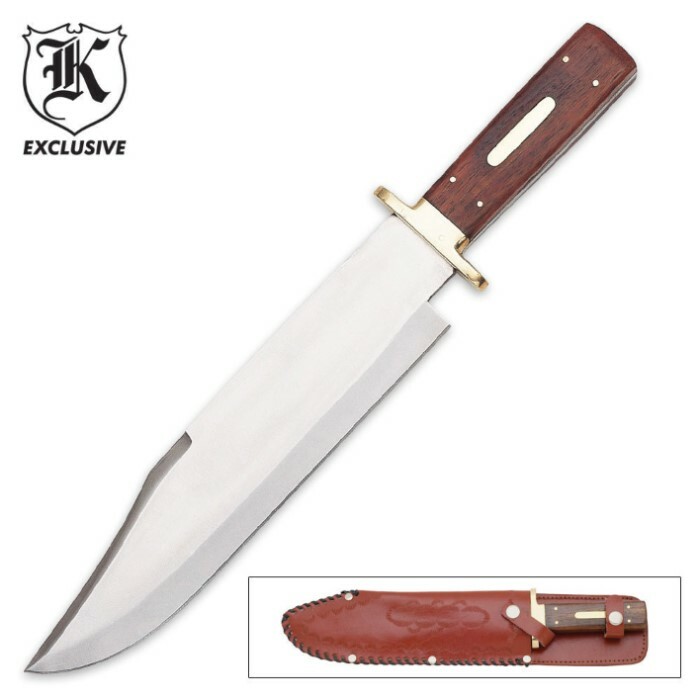 Antique Bowie Knife | BUDK.com - Knives & Swords At The Lowest Prices! Dress up your knife collection with this exquisite antique-style bowie. From the handsome hardwood handle design to the full-tang stainless steel blade, quality is the theme. 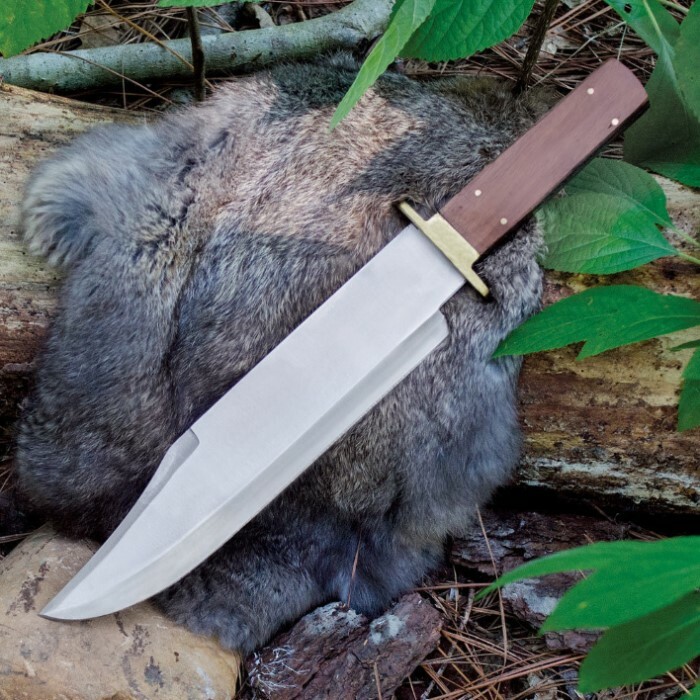 The brass-plated guard, tang rivets and accents add even more elegance, and the leather sheath is braided and stitched for a custom look and feel. 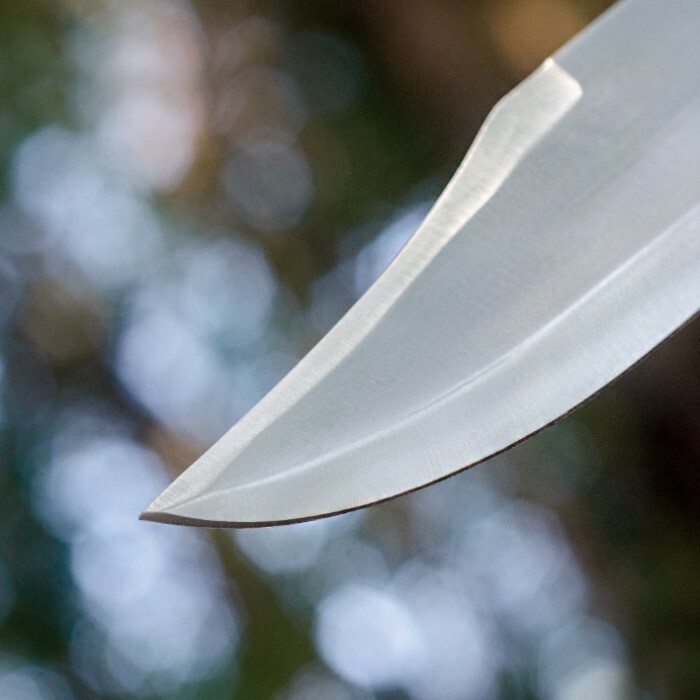 You can even engrave the handle for a one-of-a-kind, custom bowie knife.